MOVE Mobility & Vehicles 2019 is a discussion forum and gathering of experts and professionals from the entire value chain within the new mobility market. It will feature 500 participants in the auditorium, nearly 100 speakers and 20 booths in the expo area, but even more importantly subject-matter discussions presenting the essential issues for electromobility. 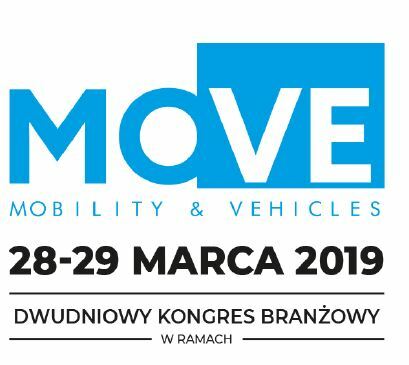 MOVE Mobility & Vehicles 2019 is part of the Poznań Motor Show, the largest automotive fair in Poland and the fourth largest such event in Europe. The main ambition of its organizers is to annually discuss the leading trends of the e-mobility industry, sparking a constructive debate in the field and forecast the coming changes on this market.